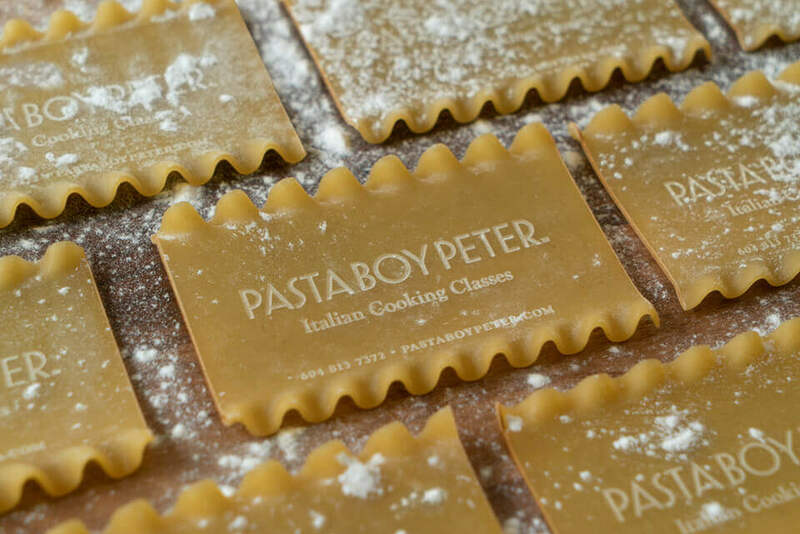 Loving this smart business card design created for Pasta Boy Pete, an Italian cooking instructor in Canada. They say the medium is the message, and in this case the clever crew at Rethink Canada have taken that as their mantra, laser etching the branding and messaging into lasagna sheets. This solution may be low on practicality, but high on memorability and I’d suggest this beautiful piece of brand identity design loaded with brand personality will pay for itself many times over in free PR and brand awareness.